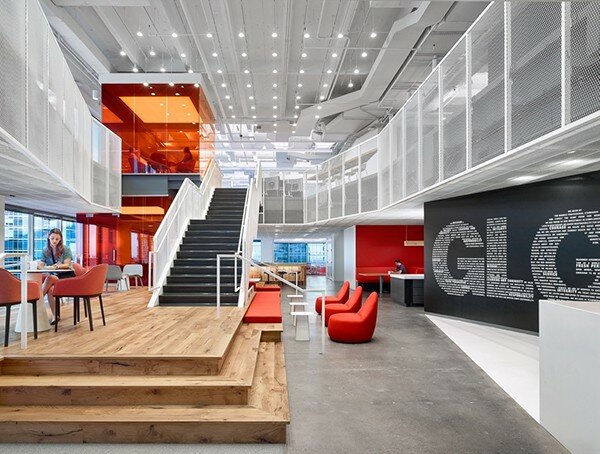 Located in downtown Austin, the rapidly growing office of GLG was in need of additional space to expand. 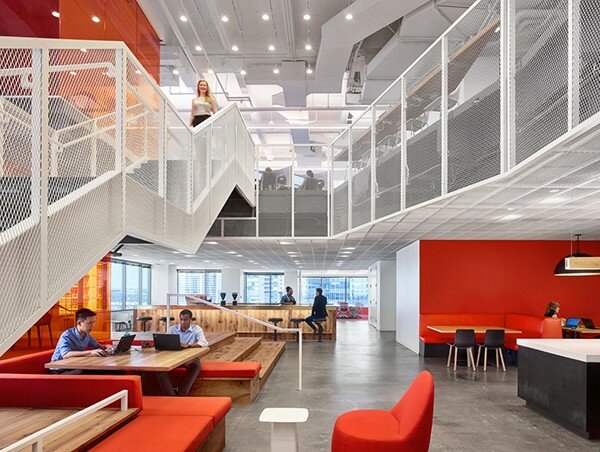 Clive Wilkinson Architects was commissioned to design a new workplace for the successful professional learning platform. 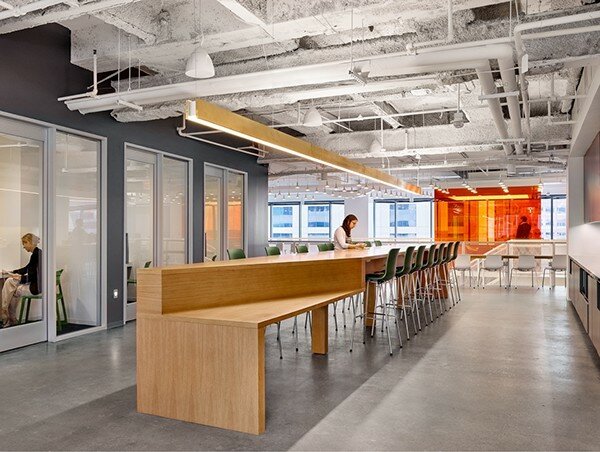 Nearly doubling their footprint, the new 42,000 SF space accommodates 450 employees across two contiguous floors. GLG's mission is to transform the way the world's top professionals share expertise and learn while also being one of the best places to work. Connectivity, opportunities for sharing, and transparency were essential to their company needs. 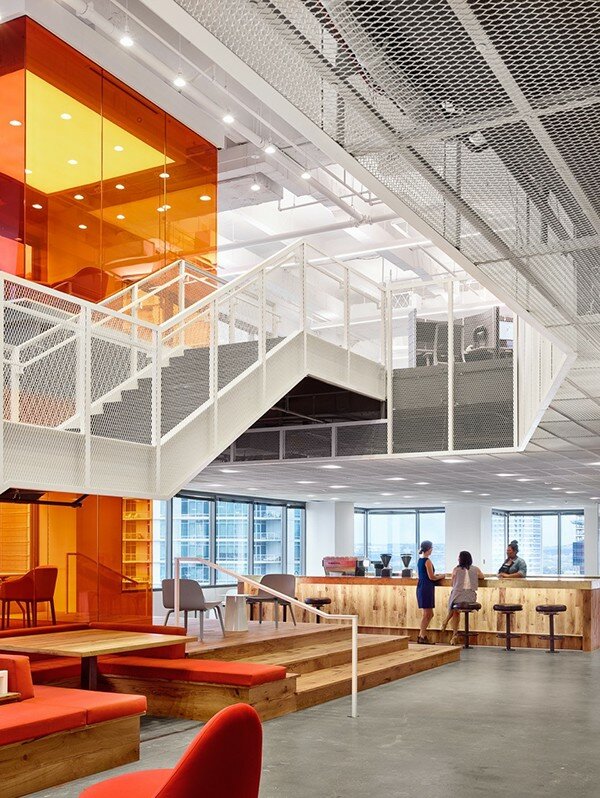 In order to connect the large working community and avoid creating silos, CWa proposed cutting a large atrium and a staircase connecting the two floors. 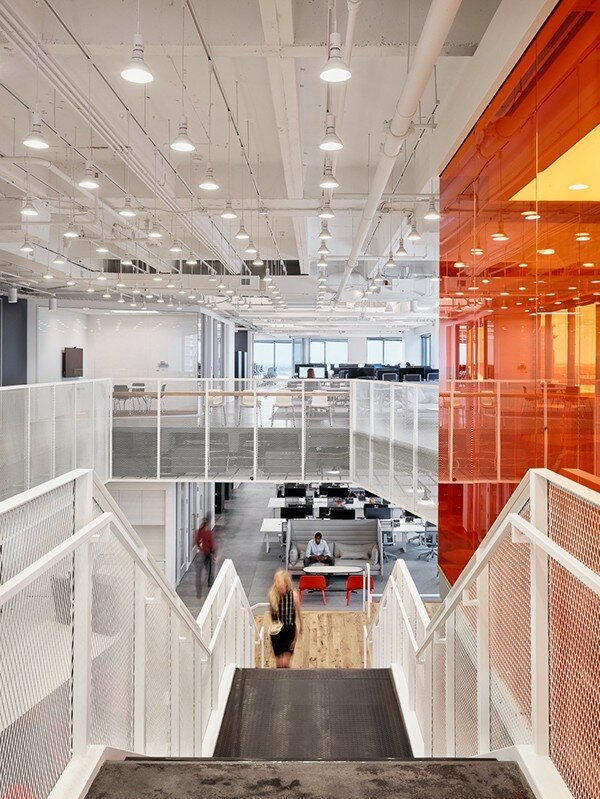 White expanded metal mesh guardrails fold down to the plaza ceiling, pulling light into the space while also providing optimal visibility between the floors. 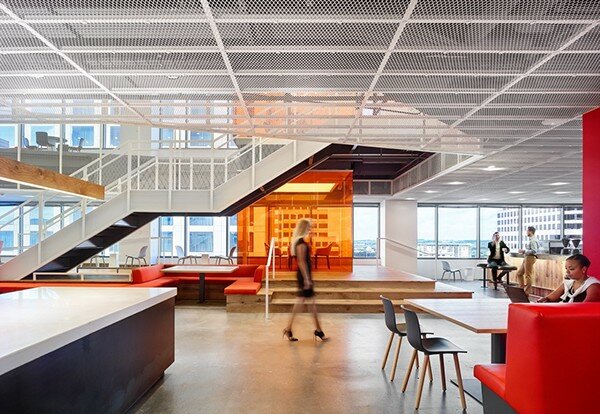 Following the successful installation of Activity Based Working at their Global Headquarters in New York, CWa repurposed this mobile framework for the Austin office. The ABW method of working empowers users by supporting a variety of working styles. 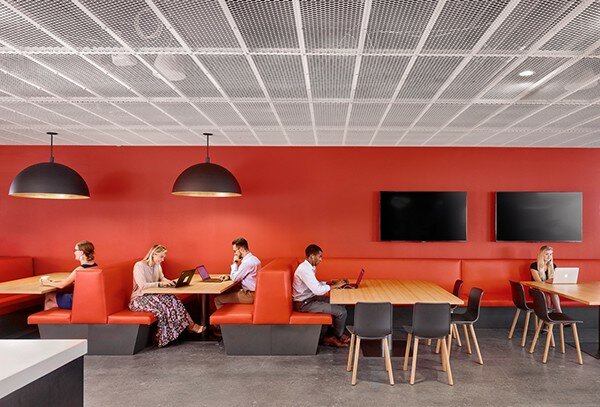 By relinquishing corner offices and cubicles, the working environment gains efficiency and allow for additional communal spaces such as the barista bar and plaza. Each of the four neighborhoods, or business groups, are equipped with the tools needed to support daily tasks. 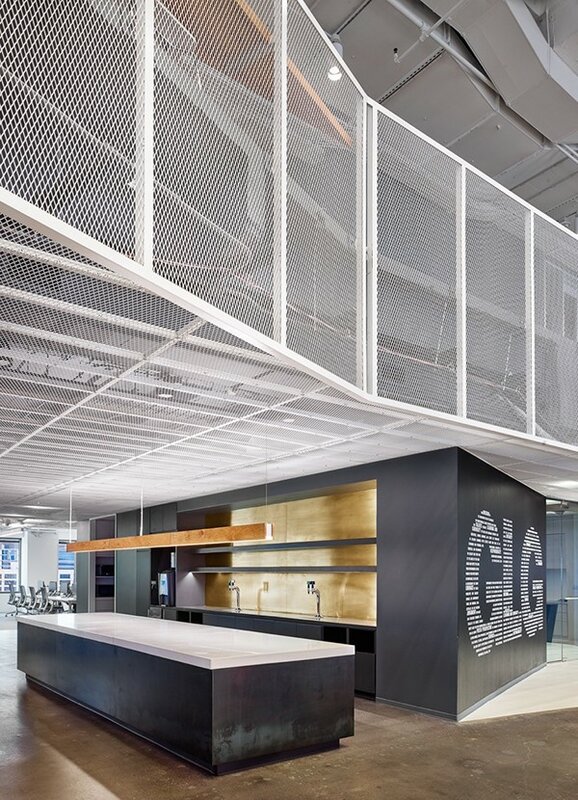 This collaborative approach makes for a more creative and comfortable working environment, which will support GLG Austin in cultivating their learning platform internally and externally for clients' needs. 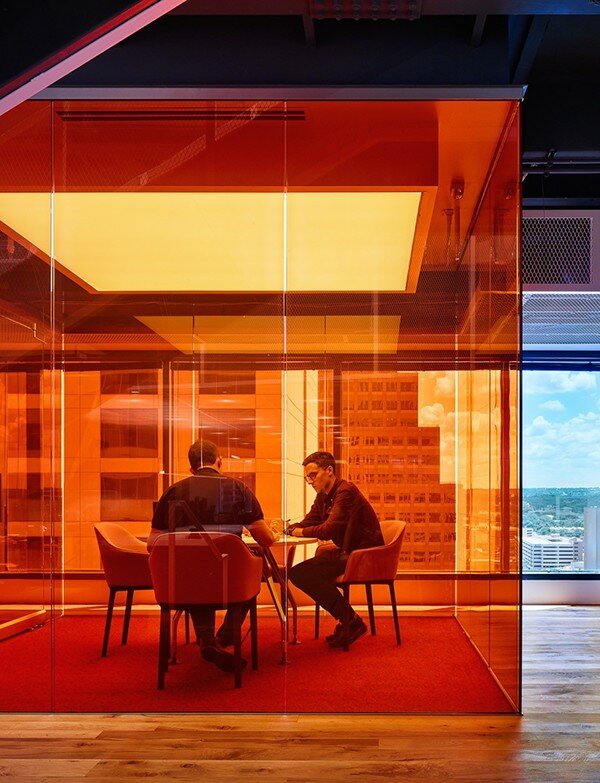 Offices for Gerson Lehrman Group in Austin, Texas.